We all love to decorate our home for Christmas and add those little extra touches, and here at System Hygiene it is no different. We stock some specific Christmas themed items to make that bit of difference in your home or place of work over the festive period. 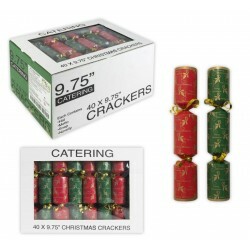 No Christmas is complete without Christmas crackers and other accessories such as patterned kitchen towels, and you can find them right here. Our high quality products are unique and designed to complement your existing Christmas décor, either in your home or office.